You are currently browsing the tag archive for the ‘Mormon underwear’ tag. As you notice, the outside of the temples are white and the buildings are elegant. 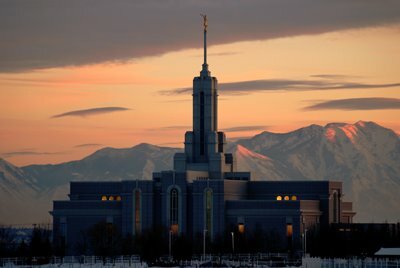 When you get closer to the temples, there are the words “Holiness to the Lord” inscribed on them as you enter. Once you enter into the temple, there are temple workers who are dressed in white. The white signifies purity and cleanliness that is only found through following and accepting Jesus into one’s life. 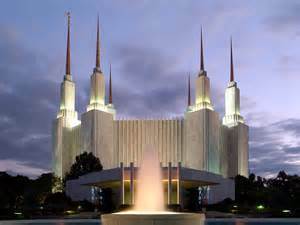 The temple workers will then ask you for your Mormon temple recommend, which all Mormons receive if they are living a virtuous life and trying to follow Jesus. 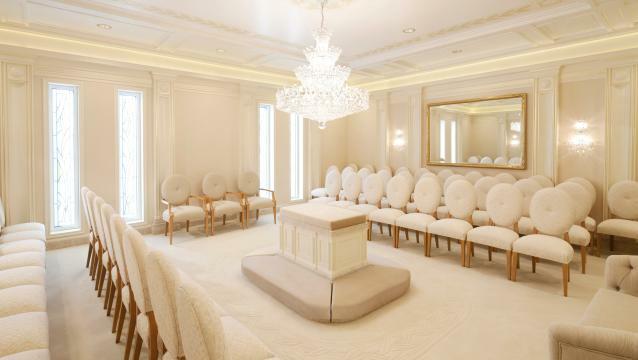 After showing the recommend, we were then led to the sealing room where the Mormon temple wedding takes place. A typical sealing room, as shown in the picture below, has an altar in the middle of the room with chairs surrounding the altar for the guests. There are also two chairs at either side of the altar for the witness couple (typically the couple is both the bride and the groom’s parents) to witness the wedding. We’ve had many discussions over the years on this blog about the various ways God speaks to us through His Spirit. I must say that God spoke to me in a very powerful, yet simple way at both of these Mormon temple weddings. 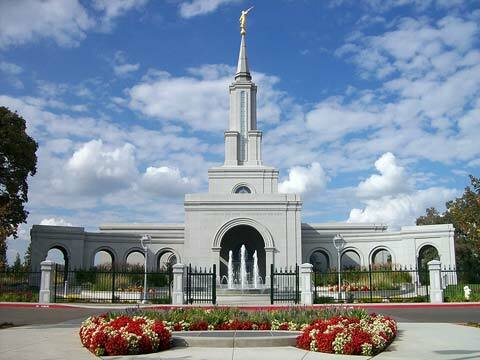 In both situations, I felt the power of God’s Spirit upon entering the temple. It was a feeling of complete purity and peace that washed over me. After we were all seated, the bride and groom then entered, followed by the Mormon Temple Sealer, or in other words, the person performing the wedding. As seen in most religious weddings, the Mormon Temple Sealer gives advice to the couple. Usually, the advice is good and centered around how to keep the Lord as the center of the relationship. After giving insightful words and sharing testimony, the Mormon Temple sealer then has the couple kneels across the altar and grasp hands. He then performs the wedding and seals them as husband and wife for all eternity together with the Lord. It is a beautiful thing to witness and the Holy Spirit is very strong. I recommend a temple marriage to anyone!